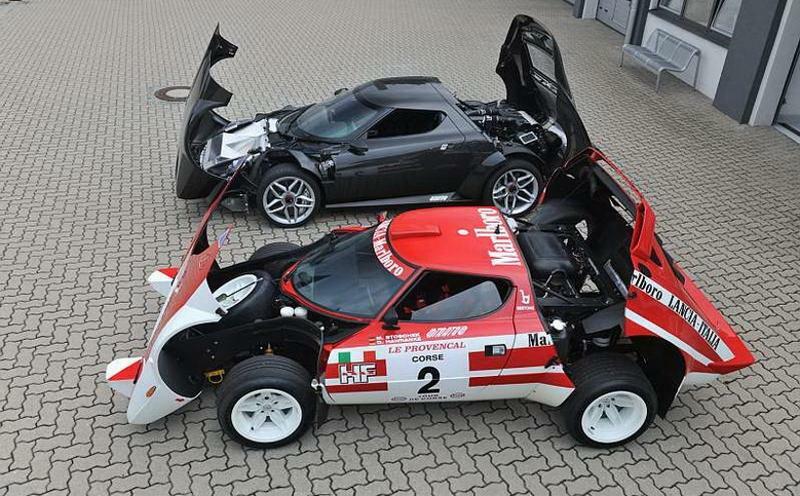 The legendary Lancia Stratos HF was without a doubt the most spectacular and successful rallye car of the 70s. With its thrilling lines and uncompromising design for rallye use, the Stratos not only single-handedly rewrote the history of rallyeing, it won a permanent place in the hearts of its countless fans with its dramatic performance on the world’s asphalt and gravel tracks. The Stratos still draws the crowds whenever it competes at historic motor sport events, thanks to its reputation as the most fascinating rallye car in the world. 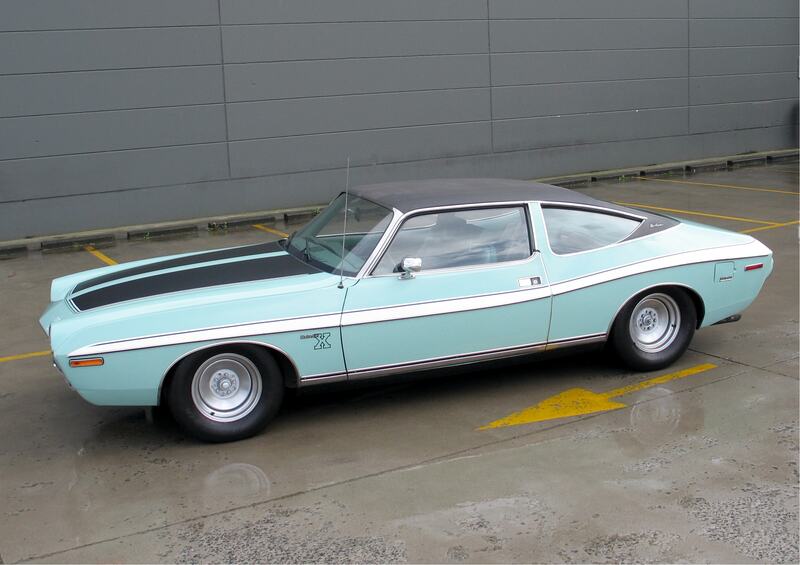 It all began in 1970, at the Turin exhibition stand of the automobile designer, Bertone. The extreme Stratos study on display there – a stylistic masterpiece by the designer Marcello Gandini – didn’t just excite visitors, but caught the attention of Cesare Fiorio, Lancia’s team manager at the time… and refused to let go. 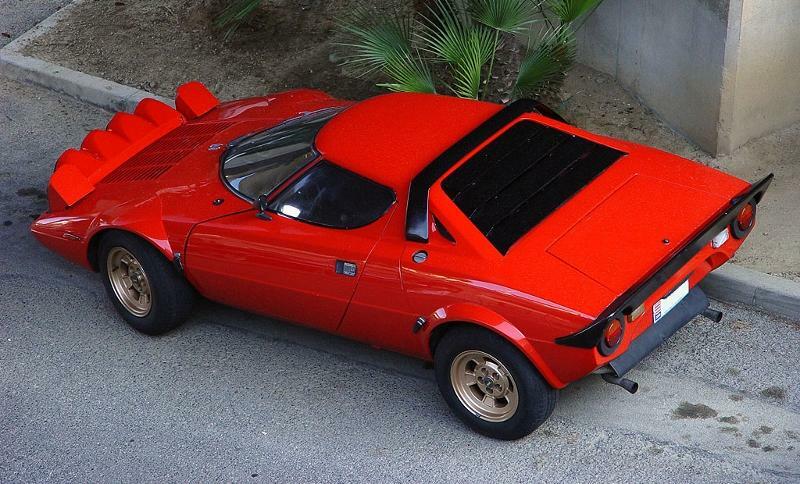 Just one year later, the Stratos assumed its final form when the mid-mounted V4 engine from the Lancia Fulvia was replaced by the significantly more powerful Ferrari Dino V6 engine. 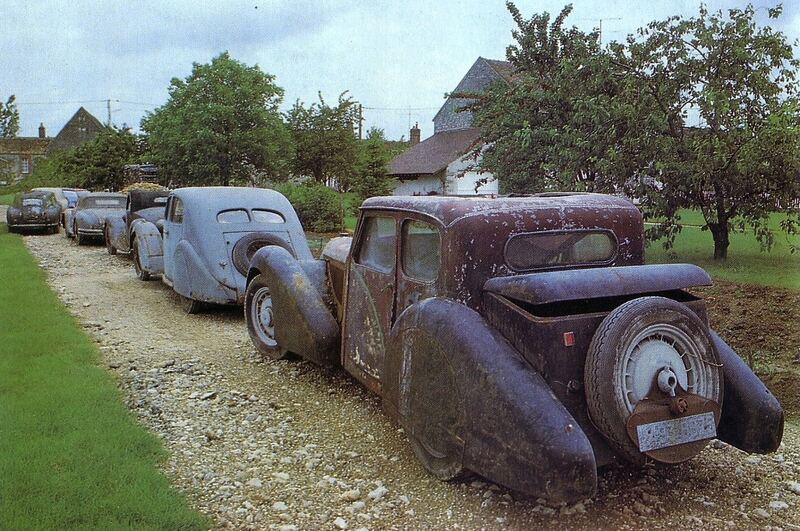 The road version of this “flounder” was just 1.08 meters high, mounted on a short steel chassis, and its aerodynamically sophisticated body was molded from reinforced fiberglass. 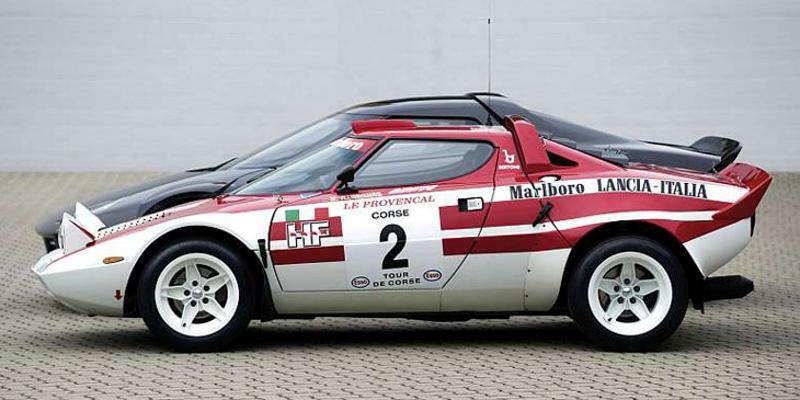 The Stratos’ low weight, ideal weight distribution and excellent dynamics provided the optimum conditions for spectacular performance on the international rallye tracks, which at the time were still dominated by Alpine and Porsche. However, the results were not so immediately gratifying. 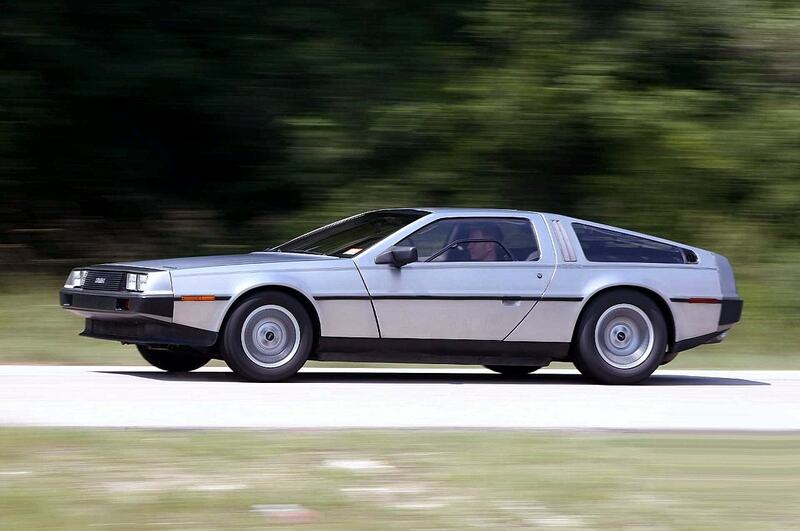 It was only when Lancia works driver Sandro Munari and British Formula 1 driver Mike Parkes got behind the wheel of the ruthless driving machine that success finally materialized. And it did so at lightning speed: in 1973 Sandro Munari took home the first victory for the Stratos HF, and the victories just kept coming in throughout 1974. By the end of 1976, the Stratos had pulled off a hat trick, winning three World Cup titles in a row. The Fiat group’s dramatic reduction of the Lancia racing budget in 1979, in favor of the Fiat 131 Abarth, was the death knell for the Stratos works team. From then on, only dedicated private teams took to the track competing against works cars – as in the 1981 Monte Carlo Rallye. Even today, there’s hardly any other vehicle that excites audiences at motor sport events like the Lancia Stratos. 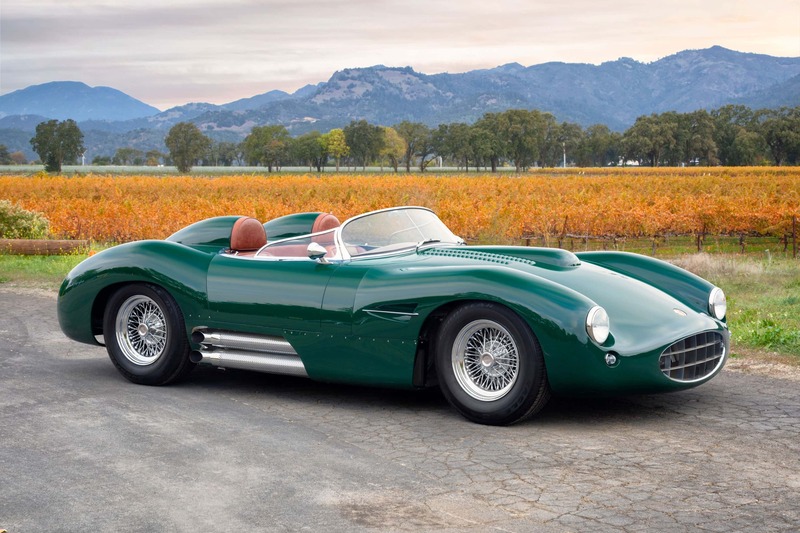 Michael Stoschek is a collector and driver of historic racing cars as well as a successful entrepreneur in the automotive supply industry. For Stoschek, the development and construction of a modern version of the Stratos represents the fulfillment of a long-held dream. Construction of the car has been underway since autumn 2008, at Pininfarina in Turin, Italy. 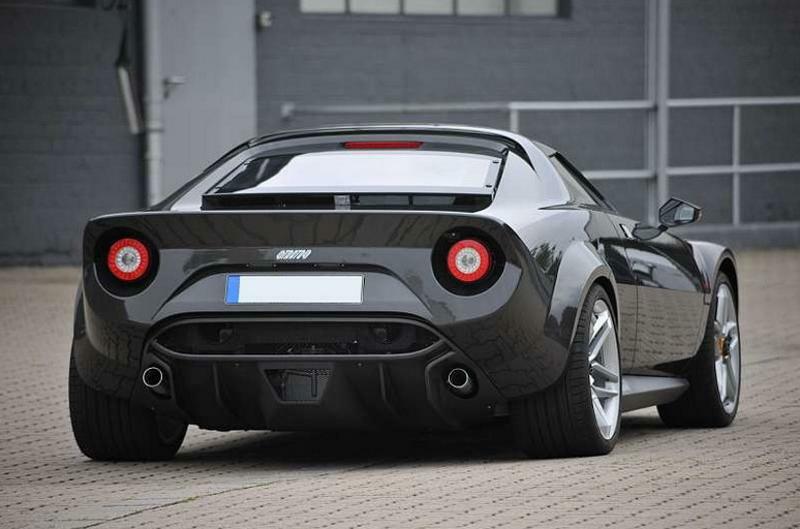 The contemporary New Stratos is a non-commercial project by Michael Stoschek. Together with his son, Maximilian, Stoschek has played a fundamental role in determining the technical concept and design of the one-off vehicle. 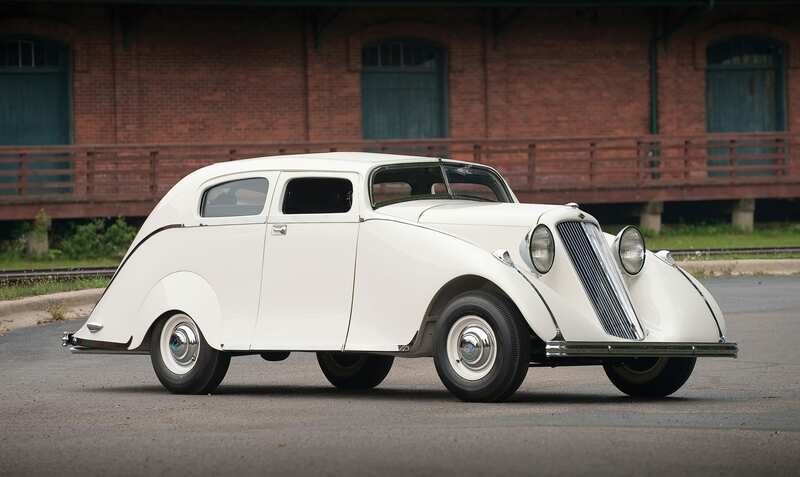 One of the most successful and respected business leaders in Germany, Stoschek is the grandson of Max Brose, founder, in 1908, of Brose, a trading company for automotive accessories in Berlin. Today, Brose specializes in mechatronic components and systems for automobile doors, seats and electric drives, boasting 16,000 employees in 21 countries and an annual turnover of more than 3 billion euros. Under Michael Stoschek’s leadership, the Brose Group has developed into the fifth largest automotive supplier under family ownership. In 2005, Stoschek handed over management of the executive board to his successor in order to devote himself to his personal interests. A keen sportsman, Stoschek won the Carrera Panamericana in 1999, 2001 and 2004, and the 2006 FIA European Rallye Championship, driving a 1971 Porsche 911 in both races. The Lancia Stratos Group 4 has a special place amongst the historic rallye cars that Stoschek employs for rallies and hillclimbing. 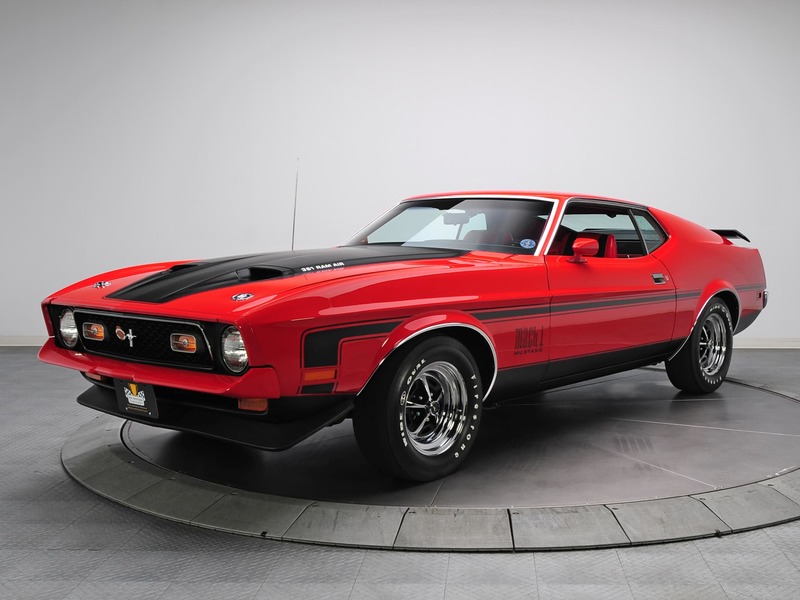 Sporting a Marlboro design, the vehicle has been restored over more than a decade, according to the specifications of the “1974 Tour de Corse Andruet/Biche” works car. The decision to develop and build a new, ready-to-run Stratos was inspired by a meeting with Chris Hrabalek, with whom Michael Stoschek became acquainted at the 1986 World Stratos meeting organized in Alta Badia by Stoschek. 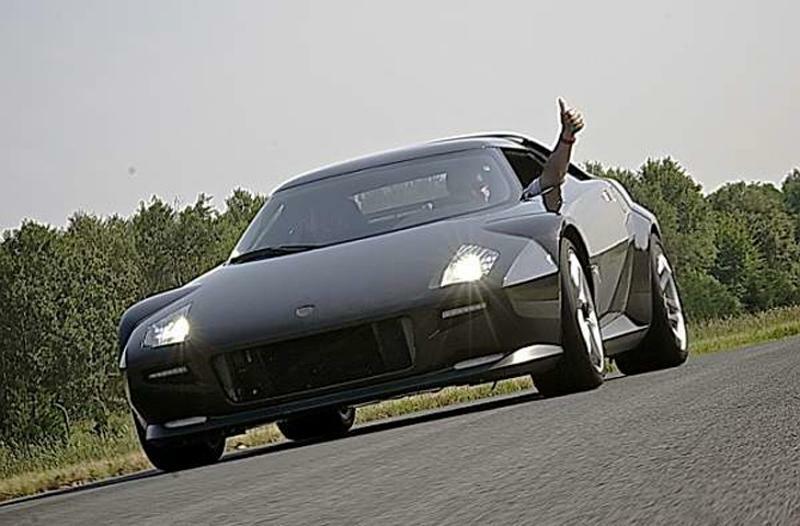 This was also the impetus behind Stoschek’s involvement in the Fenomenon Stratos project, presented at the 2005 Geneva Motor Show, as well as his acquisition of the Stratos trademark rights. The extraordinary success and the fascination of the Lancia Stratos was not only a result of its uncompromising construction for dedicated application in motor sport, but also its unparalleled design. 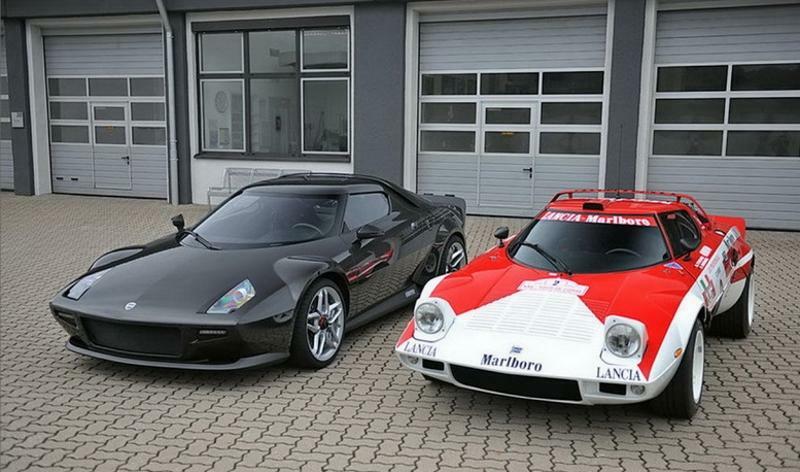 Equally high goals were set for the new Stratos, with the aim to raise the bar amongst current high-performance sports cars in every respect. 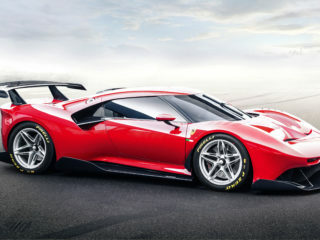 As in the original Stratos, a roll cage has been integrated into the body of the sports car, which is mounted on a shortened Ferrari 430 Scuderia chassis. 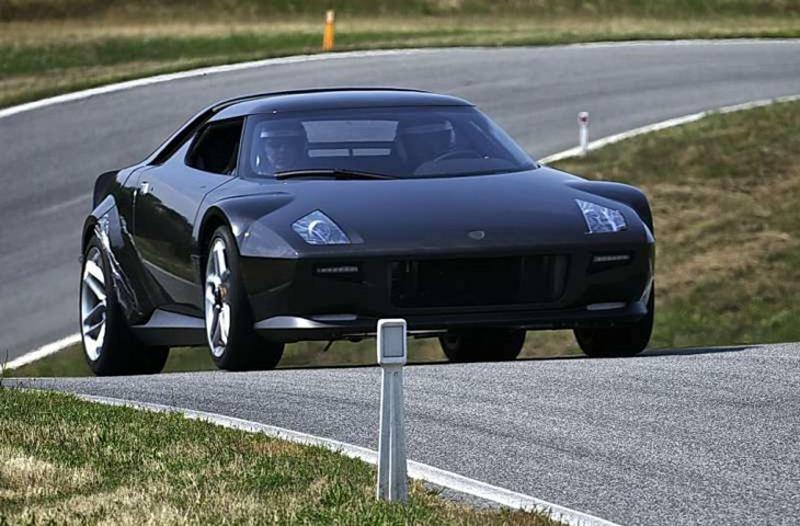 This lends the New Stratos – with its entirely carbon fiber body – greater rigidity, which can in turn be observed in the vehicle’s extremely precise handling. Combined with a weight-to-power ratio of 2.25 kg per HP, and a weight distribution of nearly 50:50, these elements yield exceptional driving performance. The first test drives in Balocco have already lived up to the team’s immense expectations; however, there’s still a lot of work to be done on the details. 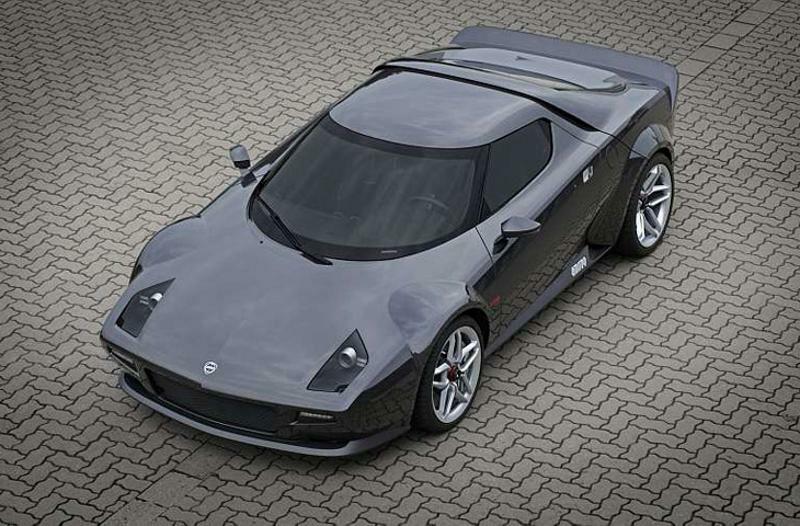 Currently, the New Stratos is one of a kind. 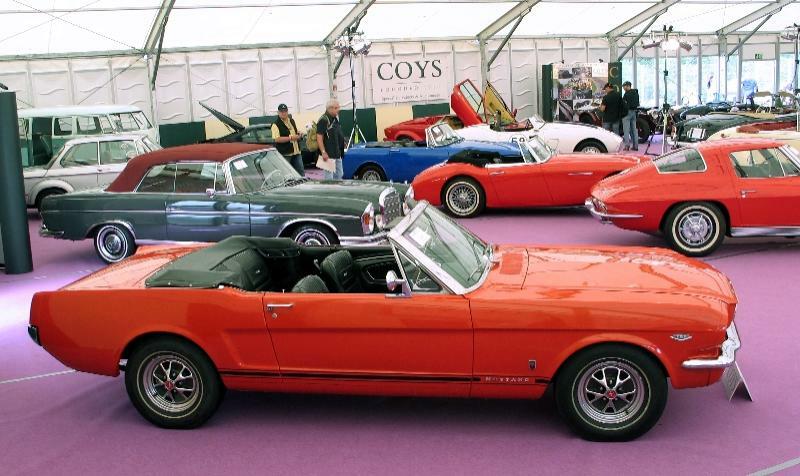 Whether and by whom a small, exclusive production comprising approximately 25 further vehicles will be built, has not yet been decided. 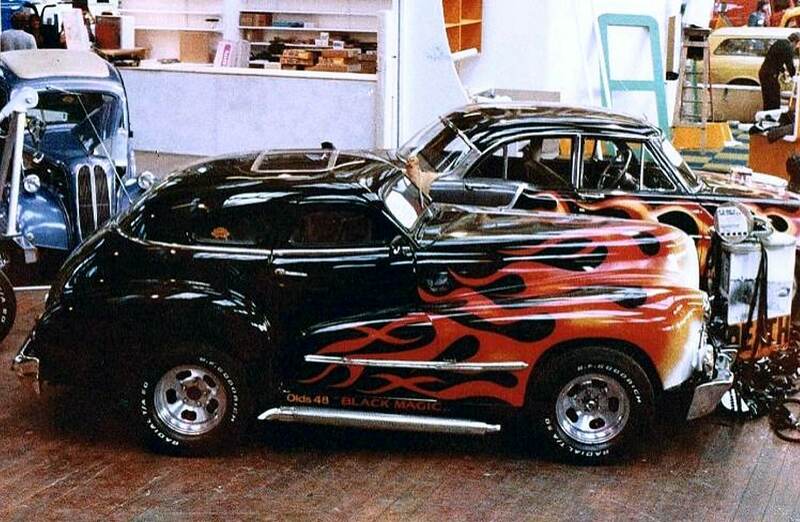 Creating a modern interpretation of a classic product is an exceptional challenge for a designer. It can be difficult to find the right balance between the issue of, on one hand, drawing too much from the original, and on the other, departing too much from the initial concept. It’s Michael Stoschek’s belief that the more perfect a classic form is, the less it should be changed – the Ford GT 40 offering a good example of this. 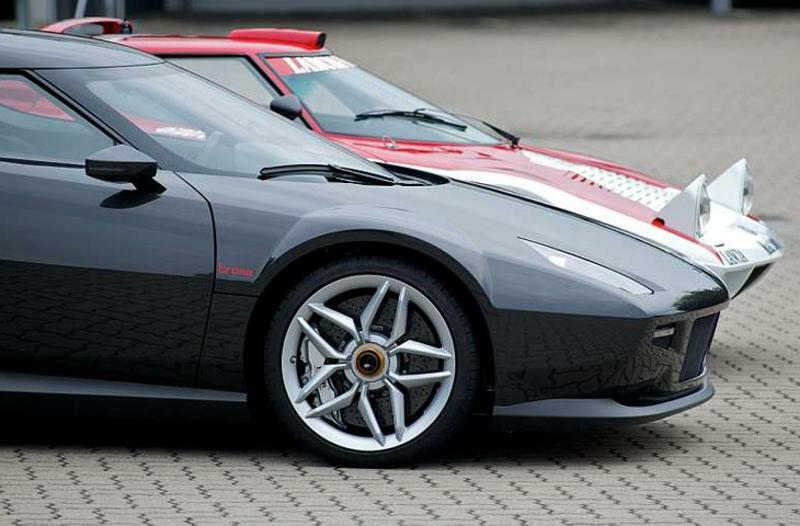 Particular caution is necessary when attempting a re-interpretation of a design icon like the Lancia Stratos. The radical Bertone study, with its futuristic design, was itself already well ahead of its time on its presentation in 1970. By holding to the premise “form follows function”, Marcello Gandini smoothly paved the way for further development of the Stratos into a rally legend. At the end of 2008, work on the New Stratos began at Pininfarina under the designer Jason Castriota, until Castriota moved to Bertone. Over the next year and a half, Luca Borgogno took on the project. 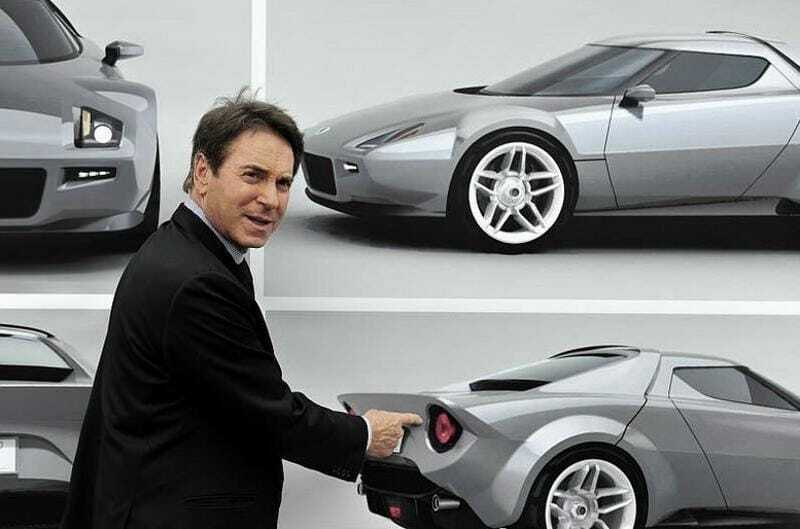 It was Borgogno who – in close coordination with Michael Stoschek – brought the design of the New Stratos’ body and interior to completion.